We are happy to announce our End of Year Sale! 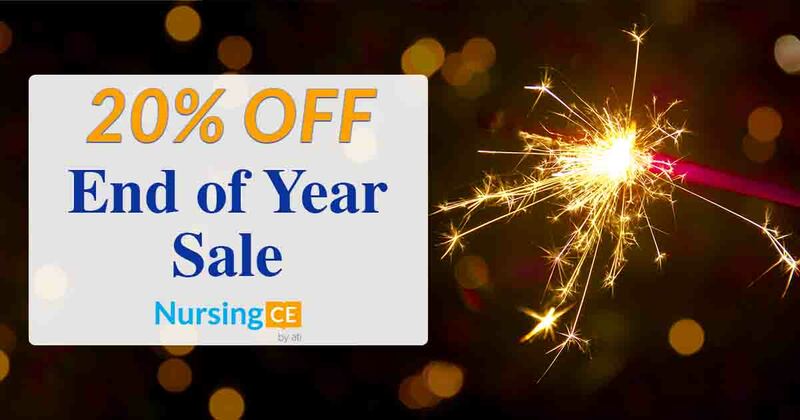 To make sure that you end 2017 off right, we're offering 20% off the price of the certificates for the CEs that you earn. To use the discount, enter YEAR20 at checkout. This offer ends on Monday, January 1, 2018, at 11:59 pm PT. The End of Year Sale may not be combined with any other offers or promotions. Not valid towards promotional gift card offers or on past purchases.